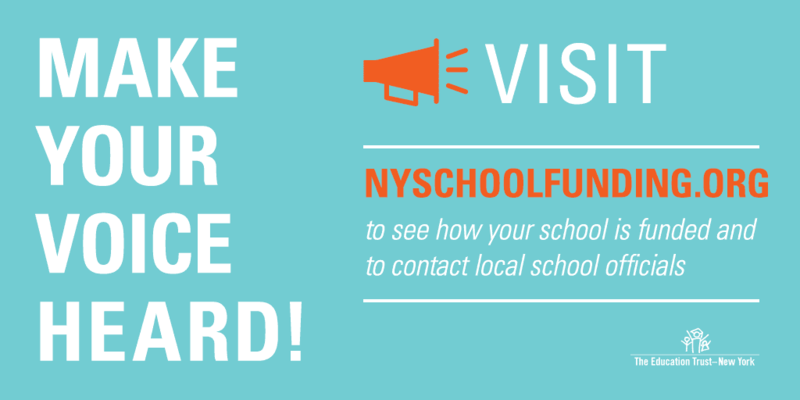 NEW YORK – The accountability plan approved by the New York State Board of Regents on Monday for submission to the U.S. Department of Education represents a critical moment for the future of accountability and school support and improvement in New York, according to a coalition of civil rights, education, parent and business organizations from across New York State. 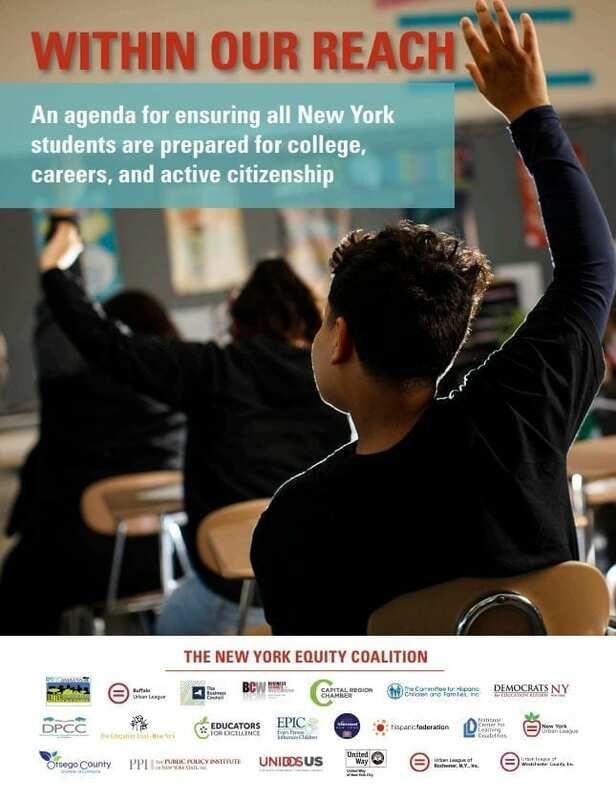 The Every Student Succeeds Act (ESSA) is an opportunity to advance equity by defining what it means to be a successful school, setting clear expectations that schools must raise achievement for all of their students — not just some — and helping schools and school districts by targeting attention, resources and support to the places where students are struggling. 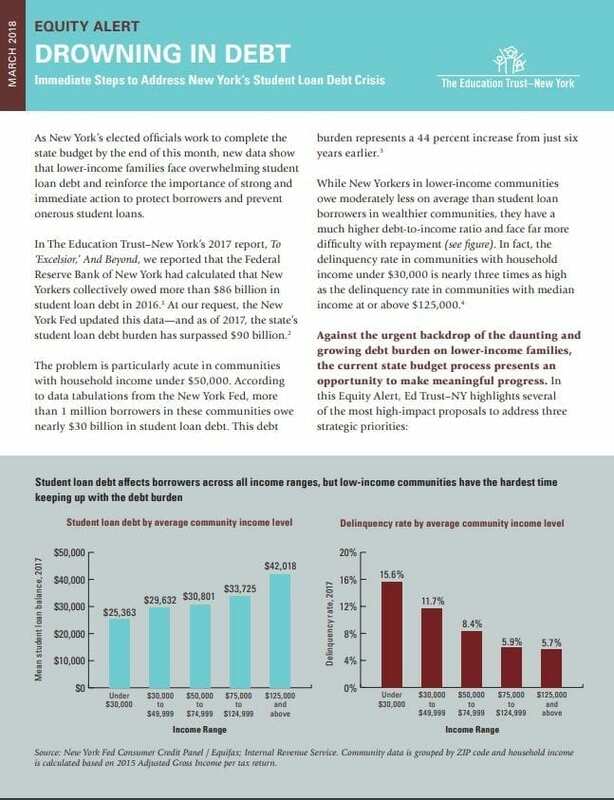 Academic achievement is clearly prioritized in identifying schools that need additional assistance. The “end goals” for academic achievement are the same for all groups of students and are generally both ambitious and achievable. The number of accountability indicators is targeted to an essential few, and they are focused on student outcomes. Other important sources of data are reserved for other appropriate purposes in the accountability system. There is a meaningful college and career readiness accountability indicator, which will provide an incentive for schools to improve access to advanced courses, industry-recognized workforce credentials and dual enrollment programs such as P-TECH. The plan commits to holding schools accountable for reducing suspensions, beginning in the second year. Our analysis found that African American elementary and middle school students are nearly four times as likely as their white peers to receive at least one out-of-school suspension per year. There is a chronic absenteeism accountability indicator. 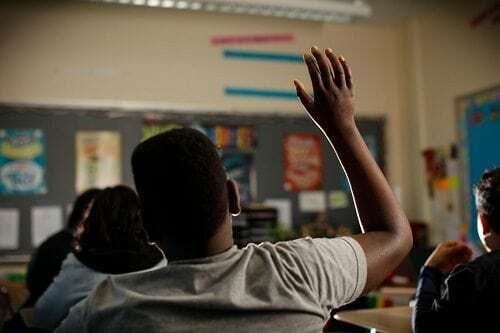 Chronic absenteeism is a good indicator of school climate, and research shows that schools have the power to take significant steps to address chronic absenteeism. The plan ensures that parents and the community are involved in all steps of the school improvement process in meaningful ways and commits to reject improvement plans that do not demonstrate sufficient engagement. 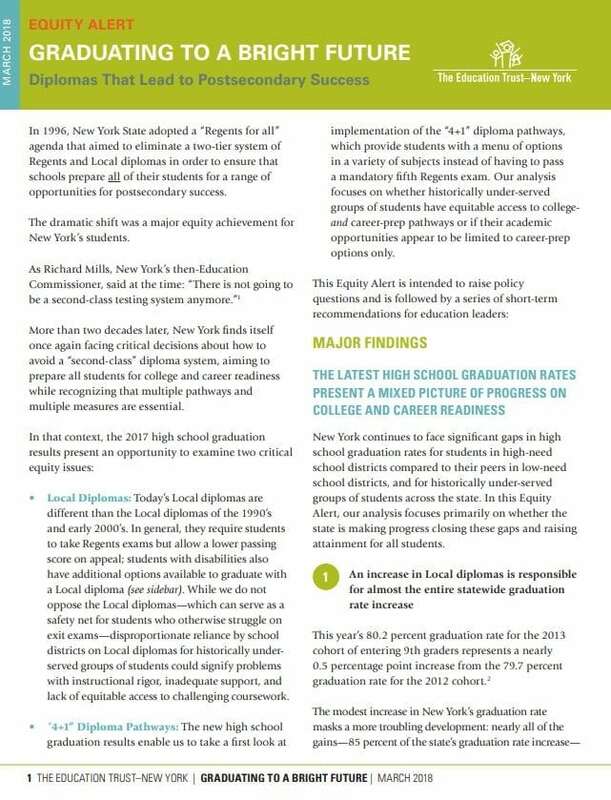 To help schools improve, the plan includes an emphasis on assessing a school’s strengths and needs, focuses on job-embedded ongoing professional development and calls for resource audits that examine the use of time, space and staff. Providing meaningful transparency to parents on how their child’s school is performing. Maintaining consistent high expectations for all groups of students and reflecting those expectations in how school performance is evaluated. Taking test participation seriously for historically underserved groups of students, so that every student counts. Identifying and supporting schools that are underperforming for historically underserved groups of students. 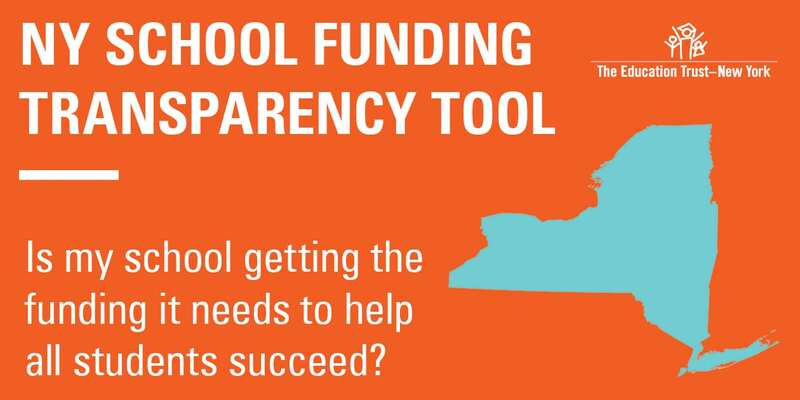 New York’s ESSA plan will now be reviewed by the U.S. Department of Education, which may provide feedback to the New York State Education Department before approving or rejecting the state’s new accountability system. The ESSA coalition includes Better Schools Better Neighborhoods, the Buffalo Urban League, The Business Council of New York State, Business Council of Westchester, Capital Region Chamber, Committee for Hispanic Children and Families, Democrats for Education Reform-NY, District-Parent Coordinating Council of Buffalo, Education Trust–New York, Educators for Excellence, EPIC-Every Person Influences Children, High Achievement New York, National Center for Learning Disabilities, New York Educator Voice Fellowship, New York Urban League, Otsego County Chamber of Commerce, Public Policy Institute of New York State, UnidosUS, United Way of New York City and the Urban League of Rochester.